The categorical axis displays a set of categories. The values for each category do not define the order in which they appear. 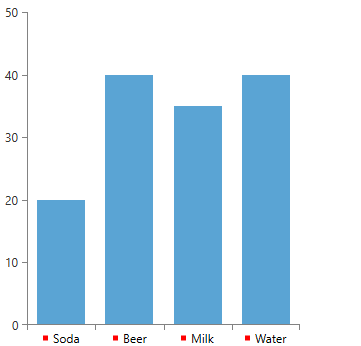 Here is an example of a categorical axis with a few data points. 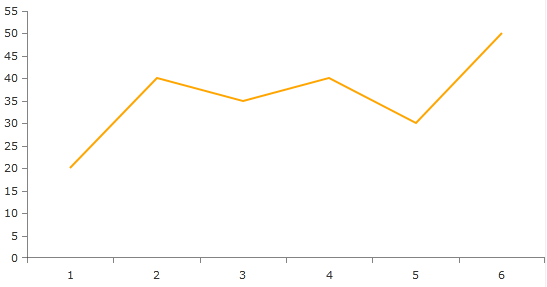 If a data point category is not defined, the series will set a category automatically. The category will be a numeric value determined by the position of the data point in the data source. For example, "1", "2", "3",etc." 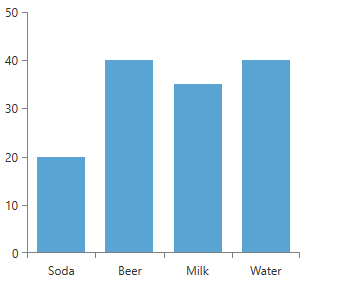 You can customize the CategoricalAxis by utilizing its LabelTemplate property. Here is a simple implementation of a rectangle added in the LabelTemplate.